Miles Community College, whose slogan is "Start Here - Go Anywhere," grants associate degrees and certificates in seven fields, including agriculture, IT, automotive, and nursing. Students can select career training or college transfer degrees. The college administers a wide range of financial aid programs at the federal, state, and tribal level, with the latter available to Native American students who attend full time. Miles is part of the Western Undergraduate Exchange, which offers a reduced tuition rate for qualifying students who live in one of 15 western states. High school students who want to start preparing for college can enroll in the Miles Jump Start program, which allows students to earn transferrable college credits without paying tuition. College in Montana has traditionally been affordable, but funds are not as available as they once were. While the state still awards scholarships, awards based on financial need are limited. It’s best, then, to not only apply for the state financial aid listed below but also look to campus-specific scholarships and apply for private awards, many of which can be found at Montana Community Foundation. Some students, including seniors and veterans, can even have their tuition waived. And don’t forget about social services that can lower costs not related to tuition. It’s possible to find a cheap place to live, get quality transportation to class and visit a doctor when you catch that bug going around campus. Just keep reading to find out how. Montana students should have no problem transferring lower-division course credits between institutions in the state. State policies allow students to complete general education programs, a transferable general education core, or simply complete certain associate degrees designed for transfer. Additionally, Montana offers a policy that allows students to have coursework as old as 15 years considered for transfer credit. Students have a number of different options for transferring general education courses. They can complete all of the lower-division coursework in a campus-specific general education program or complete the Montana University System general education core. Core courses will transfer as a block and can be substituted for the new institution’s lower-division core. Students who have followed the Montana University System general education core will be able to transfer partial credit even if they have not completed the entire 30-credit curriculum. It can still be used for transfer, provided they have completed at least 20 of the required credits. Students also have the option of determining whether to complete their remaining requirements at the new campus or apply the credits to the new campus’ general education program. In addition to satisfying campus general education or statewide core courses, students can meet general education requirements by completing an associate degree in arts or science. These degrees are considered to be transfer degrees. Students who have completed an Associate of Arts or Associate of Science degree with an approved general education package within the Montana University System will not be required to take additional lower-division coursework upon transfer to a new institution. Note, however, that Associate of Applied Science degrees are not generally accepted as satisfying general education requirements for bachelor’s degree programs. Montana offers policies for students with older coursework and guarantees that previous coursework will not be automatically disqualified because if its age. Generally, courses that are not directly required for the major or minor will be reviewed if they were completed in the last 15 years, and major or minor courses completed within the last five years will be completed. Find more information about transferring credits from the Montana University System’s academic advising and course guide. 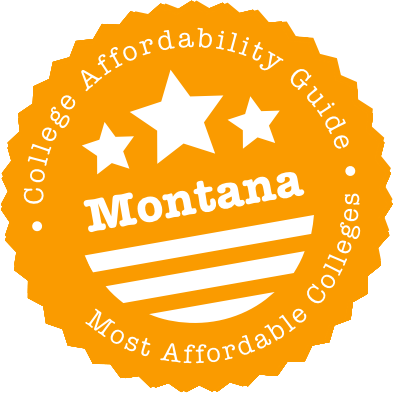 If it’s scholarships and financial aid you’re after, the place to look is the Montana University System. (Though students at the state’s few private colleges are not covered by state financial aid programs, they are still eligible for federal grants and loans and to take part in state loan repayment programs after graduation.) The Montana University System consists of 6 four-year colleges, several of which are attached to two-year schools that grant associate degrees. There are seven such institutions in the state, which are separate from the three community colleges and seven tribal colleges. The system’s website is the perfect portal for learning more about each of these institutions and about the system as a whole. For example, you can search for degree programs across the Montana University System, check admissions requirements, and apply for state scholarships designed to make a higher education affordable. And though the website’s college preparation checklist starts at ninth grade, you can start earlier by investing in college with Achieve Montana, the state’s 529 savings plan. Spend time reading though these resources — they could make your degree cheaper. Summary: Graduates of a Montana associate program can get a tuition waiver to pursue a bachelor’s degree. Eligibility: The associate degree must have been earned by a Montana resident at a two-year state school, and the graduate needs a minimum 3.4 GPA to be eligible for the tuition waiver. There are only a handful of scholarships per two-year college, and applicants are judged solely by GPA (with financial need the tiebreaker). The scholarship is reserved for bachelor’s seekers at U of M Missoula, U of M Western, Montana Tech, MSU Billings, MSU Bozeman and MSU Northern. How to Apply: First, submit the FAFSA. Then, apply for the scholarship between January 30th and June 30th the year you earn your associate degree. You’ll need to include an acceptance letter and transcript along with your application. Summary: Solid students can win up to $2,000 to attend a state school or tribal college. Eligibility: Graduates of Montana high schools who have scored a 1440 on the SAT, netted a 20 on the ACT or earned a 3.0 cumulative GPA can apply if they plan on entering college straight from high school, whether for a certificate, associate or baccalaureate program. How to Apply: Take the ACT or SAT by December 31st. After being accepted to a state college or tribal college, get an application from the Montana University System website and mail it by March 15th with copies of your seventh-semester high school transcript, acceptance letter and ACT/SAT score. The Governor’s Scholarship is renewable each year. Summary: Acing the SAT or ACT and getting a high GPA in high school is some students’ ticket to a four-year tuition waiver at any of the schools (except for tribal colleges) in the Montana University System. Eligibility: Graduates of Montana high schools who have earned a 3.4 cumulative GPA and are meeting the Board of Regents Rigorous Core Requirements are eligible. How to Apply: Take the ACT or SAT test by December 31st. After being accepted to a state college, get an application from the Montana University System website and mail it by March 15th with copies of your seventh-semester high school transcript, acceptance letter and ACT/SAT score. Full-time enrollees who maintain a 3.4 GPA through college can renew the Honor Scholarship each year. Summary: $1,000 is available to Montana high school graduates determined to major in a science, technology, engineering or math field at one of the Montana University System’s schools or tribal colleges. Eligibility: Graduates of Montana high schools who have earned a 3.25 cumulative GPA and have taken four years of college prep math and three years of college prep science can use the scholarship for a certificate, associate degree or baccalaureate. Students can renew for a second year and receive $2,000 by maintaining full-time enrollment and earning a 3.0 cumulative GPA. How to Apply: After being accepted to a state college, get an application from the Montana University System website and mail it by March 15th with copies of your seventh-semester high school transcript and acceptance Letter. Summary: The lucky few to receive the distinction of National Merit Scholar semifinalists receive a tuition waiver to schools within the Montana University System for their first year of college. Eligibility: Scholars cannot take more than one semester off after graduating from high school. How to Apply: Unlike most state scholarships, this one is practically automatic. Email mtscholarships@montana.edu for details. Summary: Registered nurses in the state can get their loans partially repaid by the state by agreeing to full-time employment at the Montana State Prison or Montana State Hospital. Eligibility: All RNs licensed in Montana are eligible. How to Apply: Submit an application by June 1st. Give yourself plenty of time because your employer will have to verify your work status, and your lender must fill out a form detailing your loan obligations. Summary: Doctors who work in rural areas or with medically underserved populations in the state can receive up to $100,000 in debt forgiveness for their school loans over five years. Eligibility: Licensed doctors of medicine and doctors of osteopathic medicine are eligible. How to Apply: Both you and your employer must submit applications. The application includes loan documents, a CV and documentation from your employer about the physician shortage in the area. Summary: Teachers of subjects with critical shortages can get $12,000 in student loans paid off over four years by the Montana Guaranteed Student Loan Program (MGSLP). Eligibility: Full-time teachers licensed in Montana are eligible if they are teaching in a rural school, a school with a high percentage of low-income students, and/or a school with below-average academic results. How to Apply: Submit an online application to the MGSLP by March 31st. Summary: Montana veterans who no longer have VA education benefits can still receive a tuition waiver for up to 12 semesters at a Montana University System school. Eligibility: Veterans from five different time periods qualify. They must be seeking their first associate or bachelor’s degree. How to Apply: Contact your school’s financial aid or veterans services office. Summary: Current soldiers might have their tuition waived to attend a school within the Montana University System. Eligibility: Soldiers must be enlisted for six years and hold the grade of officer (grade 1 or 2), warrant officer (grade 1 or 2) or enlisted (grades 1 through 7) to qualify. They must be seeking their first undergraduate or graduate degree. Summary: Tuition is typically waived at Montana public schools for children of a U.S. soldier who has died in war. Eligibility: Children must be younger than 26 to use the waiver, and the deceased parent must have been a Montana resident. Through a related waiver program, spouses and children of Montana National Guard members killed while serving can also pay $0 for tuition at Montana schools. Summary: The Board of Regents ensures American Indians with financial need pay no tuition toward degrees at Montana University System schools. Eligibility: Montana residents qualify if at least one of their grandparents was full American Indian or if they are a member of a Montana tribe. How to Apply: File the FAFSA and submit a tuition waiver application. Summary: Students with financial need at Montana University System colleges and community colleges can work on campus to pay for a portion of their education. Eligibility: Students must be Montana residents enrolled full time at a participating college. How to Apply: Each school receives different funding. After submitting the FAFSA, contact your financial aid office to demonstrate your interest. Summary: Without a state medical school, Montanans must look elsewhere for medical programs. PSEP allows prospective healthcare workers to pay reduced tuition if they’re accepted to programs in nearby states. Eligibility: Applicants must be Montana residents headed to an approved program in allopathic medicine, dentistry, occupational therapy, optometry, osteopathic medicine, podiatry or veterinary medicine. How to Apply: Get certified as a Montana resident by the Office of the Commissioner of Higher Education between July 1st and October 15th (September 1st for veterinary students) the year before enrolling. Once you are accepted into a program, the lower tuition rate will be applied. Summary: Montana residents 65 and older needn’t wait for degrees to get cheaper; with a waiver, they can get one at a state public college without paying tuition. Eligibility: Montana residents 65 and older qualify. How to Apply: Submit the one-page application by the third week of the semester. Summary: Prospective master’s degree seekers from Montana can pay in-state tuition even if they attend a college out of state. Eligibility: Students enrolled in accepted programs across the western U.S. are eligible. How to Apply: Contact your graduate school for details. Summary: Montana residents looking for an undergraduate degree outside of Big Sky Country can enroll in a program at 150% of that school’s in-state tuition rate. Eligibility: Montanans enrolled in a participating public college in the western U.S. qualify, but each school can set further eligibility standards. How to Apply: Contact your school’s financial aid office for details. Although rent is typically cheap, thanks to high grocery receipts, pricey healthcare and eye-popping real estate prices, Montana can be an expensive place to live. However, just like any state, it’s equipped to provide residents on the lower end of the income spectrum a variety of social services to make life affordable. As a college student, you may qualify for some of these programs. To get a sense of what’s available, start at the Montana Department of Public Health and Human Services (DPHHS). There, you’ll find information on, for example, how to receive the Best Beginnings Child Care Scholarship when enrolling your child in preschool, sign up for Medicaid and Healthy Montana Kids (Children’s Health Insurance Plan), get food stamps through the Supplemental Nutrition Assistance Program, and keep your heat on during the winter with the Low-Income Energy Assistance Program (LIEAP). Apply for food, funds and healthcare today with Montana DPHHS. If you want personalized assistance, your local human resources development council can help you explore options. Seriously consider moving into campus housing, as it can save you money, whether you’re a single freshmen or a parent continuing your degree with a family in tow. A typical two-bedroom home or apartment in Billings may rent for below the national average, but MSU-Billings housing is still cheaper. Keep in mind that college costs rise every year, including rates for room and board. At University of Montana, though, you can keep inflation in check. The school has a “locked-rate deadline” at the end of the spring semester, in which you can maintain the current rate. While on-campus living can represent real savings, don’t take the college’s word for it. When calculating off-campus living costs, colleges tend to overestimate. MSU Billings, for instance, includes the price of home phone service in its estimate, even though everyone uses cellphones these days. Instead, take some time to determine your own costs. Montana State University in Bozeman has a pretty good worksheet for comparing the costs associated with on- and off-campus housing. You can also use MappingYourFuture.org’s online calculator. At some Montana colleges, including Montana Tech, you’ll have to live on campus for at least the first year, unless you’re a nontraditional student. At others, you’ll have the option of living away from school every year. Some will even assist with off-campus rentals. Take a look, for instance, at the Off-Campus Renter Center at University of Montana, which has a sort of Craigslist for UM students in need of housing and/or roommates. The school goes even further, producing a guide for area renters who need to learn about everything from deposits to snow removal ordinances. It also counsels renters who are having problems with landlords. Similarly, Montana State University publishes a housing guide online and populates its website with resources for renters. If you are considering living away from campus, you should be able to find an affordable place to rent. Rates are about 1/4 cheaper than national averages. If your school doesn’t have a housing finder like University of Montana’s, you can type in your parameters to MTHousingSearch.com, a state-sponsored website that features affordable properties. CampusRent.com and MyApartmentMap.com are also popular tools. For immediate accommodation in the absence of funds, you may have to search HomelessShelterDirectory.org. Getting utilities set up can be a pain, but paying the bills shouldn’t be—utility rates in the state are not exorbitant. The Treasure State has two energy assistance initiatives that can lower the cost even further if you’re responsible for utilities: the Low-Income Energy Assistance Program (LIEAP) and the Weatherization Program, which both run from October 1st through April 30th when home heating costs are highest. LIEAP subsidizes the gas and electricity bills of low-income residents in the winter, while the Weatherization Program pays for home repairs that can lower bills in the long- and short-term. Montana is without any university medical centers or dental schools. It does, however, have both campus clinics and community health centers that provide affordable care for students. Find the latter, which use sliding fees and don’t turn away people who can’t pay, at the Montana Primary Care Association. Some, but not all, Montana colleges have campus clinics, which can be quite inexpensive for minor ailments or family planning. This is because they are typically subsidized by student fees paid alongside tuition. Curry Health Center at University of Montana even has a dental clinic, which boasts fees 50% to 75% lower than private dentists in Missoula. Other affordable dentists across the state can be found at community dental clinics. And although most colleges, including Montana Tech, offer free mental health counseling, more extensive mental health services will probably require visits off campus. The DPHHS has a listing for mental health clinics in the state. Several schools in Montana, including tribal colleges such as Salish Kootenai College and public universities like University of Montana, provide on-campus child care for student-parents, though the age ranges covered vary. The Associated Students of the University of Montana runs four child care facilities and preschools and can accommodate newborns to six-year-olds. SKC Childcare Center, meanwhile, enrolls two- to 12-year-olds. At Montana State University, you can enroll your child either in day care or preschool, depending on how much curriculum-based learning you want for your child. Most on-campus child care facilities are designed to accommodate students and staff at the school, but prices can still be steep. Sometimes, there’s a discounted rate for students, but you may have to look at government subsidies geared toward studying parents. It’s worthwhile seeing if you qualify for the Best Beginnings Child Care Scholarship Program, which is run by the state’s Early Childhood Services Bureau. This scholarship can be applied toward any licensed child care center in the state. Don’t know how to pick a good one? There are seven Child Care Resource and Referral Agencies in Montana, divided by region. Find yours at DPHHS. Montana is a huge state, but it’s surprisingly easy to get around in once you’ve settled in a city. Missoula and Bozeman both have free public transportation networks, and colleges in these towns dedicate space on their websites to encouraging students to use them. At University of Montana, students can hop on UDASH to jet around campus or even traverse the south side of town. They and other Missoula students can also use the city’s Mountain Line, which is free for all riders. Similarly, Streamline Bus in Bozeman is free to not only Montana State University students but also the general public. In Billings, public transit is not free, however, and does not necessarily line up well with class schedules. Recognizing this, in 2016 MSU Billings created Jacket Shuttle to make runs between campuses. Nutrition is often the first thing students jettison when budgeting their money and time, and outright hunger is a growing problem on U.S. campuses. Students at MSU Billings are concerned, and what started as a business class project is transitioning into a full-time food pantry on campus, where students can get nutritious nonperishable groceries for free. The Bobcat Pantry is still in the gestational stages, and most schools do not have food pantries, but they are quite common in the surrounding communities. Search for food pantries and distribution programs in your area at Montana Food Bank Network. Pregnant and nursing mothers have additional resources. The Montana Department of Health and Human Services administers the state WIC program, which pays for specific groceries such as milk and bread needed for a baby’s development. There’s an online prescreening tool to see if you’re eligible. For being Montana’s biggest city, Billings is pretty small, home to less than 200,000 people. It’s still large enough to accommodate three accredited colleges: four-year MSU Billings, two-year City College at MSU Billings and one of the state’s few private higher education institutions, Rocky Mountain College. The cost of living tends to hover around the national average. Where you’ll save is by renting (or living on campus). Billings Adult and Community Education Center runs free college prep classes several times a year. Students who need a high school diploma first can get that as well through the center’s GED class. District 7 Human Resources Development Council can refer clients to affordable child care in the area, get them a utility subsidy via the Low-Income Energy Assistance Program, or even help them fill out taxes to maximize returns, to name just three of its services. Family Service, Inc. delivers food baskets to hungry Yellowstone County residents and can pay past-due rent or power bills for those facing eviction or a utility shutoff. Housing Authority of Billings assists 1,400 individuals and families in the city rent affordable apartments and homes through either low-cost public housing or the Section 8 Rental Assistance Program, which provides people with vouchers toward rent. As the state’s largest city, Billings hosts multiple nongovernmental organizations, and the resources above are just a few. A comprehensive directory can be found at Montana 2-1-1. The state’s biggest college, Montana State University, has its main campus in Bozeman, which also supports two-year Gallatin College MSU. There are fewer than 45,000 residents in Bozeman, but enrollment at the two schools is a combined 16,000. That gives the city the deserved title of a college town. Pair the typical student deals on food and entertainment with reasonable rental prices and free public transportation, and Bozeman can be an affordable place to spend four years. Bozeman Adult Learning Center runs regular courses for residents looking to earn their GED or learn about their college options. Either way, students can brush up on their math and English skills along the way. Bozeman Schools Foundation hands out annual scholarships to graduating Bozeman High School seniors. There are six funds, each with its own eligibility criteria. Child Care Connections is the best place for Gallatin County residents to locate quality day cares and preschools. It’s also a starting point for applying for child care subsidies. Healthy Gallatin, a website produced by the county’s health department, explores such topics as where to get low-cost immunizations before classes begin, who to contact for financial assistance and how to access local mental health services. HRDC Bozeman is the perfect place to go for financial assistance if you don’t know where to start. That’s because it provides referrals to local government social services such as LIEAP and runs its own initiatives, including managing low-cost rental properties, serving dinners at a “Pay What You Can Cafe” and running Head Start centers in the county. Though small, Bozeman has its fair share of organizations working to make citizens’ lives easier. More of them can be found at Montana 2-1-1. Whereas cities like Bozeman and Billings make up for high home-buying costs and pricey healthcare and groceries with low rental prices, Missoula apartments go for about the national average. Students at the University of Montana and the attached two-year Missoula College University of Montana at least have free bus transportation, which means they can widen their search area for housing instead of feeling compelled to live within walking distance of campus. Child Care Resources connects Missoula families not just to local day cares and preschools but also to the means to pay for them. It even has its own fund, the Hand Up Scholarship. Homeword owns six beautiful properties in Missoula, which it rents out at below market value. It also teaches financial fitness classes to those looking to create budgets and put unmanageable debt behind them, walks citizens through the rental process so they get a good property at a reasonable price, and counsels individuals who need help putting their finances in order. Human Resource Council is an agency that focuses on connecting Missoula County residents to social services, whether that’s a utility subsidy with the Low-Income Energy Assistance Program, a Section 8 Housing Voucher that can lower their rental payments, or tutoring from the Workforce Innovation & Opportunity Act Youth Program. Missoula Community Foundation hands out scholarships each year to high school graduates of Missoula County Public Schools and the Frenchtown School District who are staying in the state for college. Missoula Housing Authority distributes Housing Choice Vouchers so low- to moderate-income renters can get a decent place for an affordable price. It also runs six attractive apartment complexes with units that rents at well below the average local rate. This is just a sample of what’s available within Missoula County. For more, visit the “2-1-1 and Other Services” tab and “Rental Opportunities” tab on the Human Resource Council’s website. These lead to listings of local emergency food and shelter as well as affordable rentals. They also link to Montana 2-1-1.